Uncover in-market customers, shopper opportunities, patterns, and key insights with actionable intelligence across your online advertising initiatives. 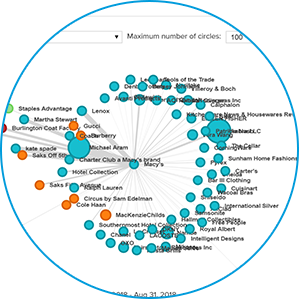 The Brand Engagement Map visualizes audience shopping patterns across ownerIQ's unique shopper data. 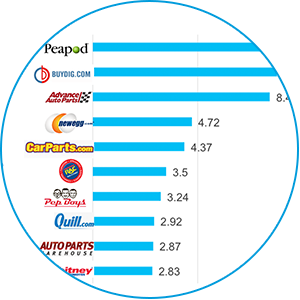 The report shows co-engagement relationships between brands and products based on users' browsing activities. 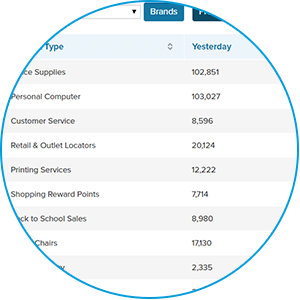 The Browsing Insight Report provides a snapshot of the daily unique visitors for each data group, by specific brand and product type. Timeframes over one day are the sum of the daily unique visitors. 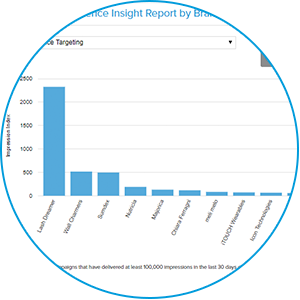 The Campaign Audience Insight Report provides a snapshot of your customer profile, highlighting the brand preferences of your campaign audience based on ownerIQ's unique shopper data. 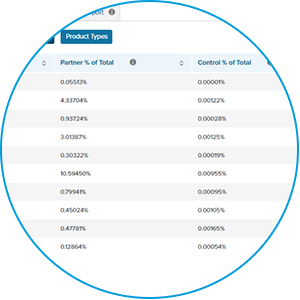 The Retail Overlap Report shows you which of ownerIQ’s branded Premium Retail Partners have the highest and lowest overlap with your audience compared to the overall overlap of each branded Premium Retail Partner across ownerIQ's entire database of shoppers. The resulting data set is sorted by the index. Use data to define your target customer before, during, or after running media, especially retail sell-through campaigns. The Shopper Audience Insight Report provides a snapshot of your online consumers' brand and product preferences based on their shopping and purchase behavior across ownerIQ's audience partners. 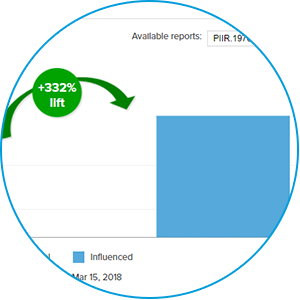 This report compares the behavior of visitors to your site to the control audience, ownerIQ's database of shoppers, and the resulting data set is sorted by the index. Use data to define your target customer before, during, or after running media. Uncover the value of your campaign and drive better business outcomes with valuable insights into your audience's shopping behavior and purchases. 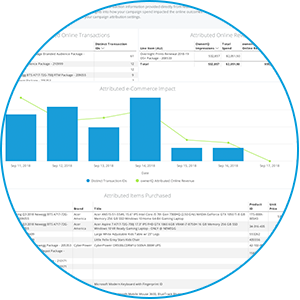 The Campaign Overview Report gives you the ability to customize your own reports, make visuals, save, or schedule reports to be emailed. Metrics included: Ad Exchange, Channel, Creative Name, Domain, various geo breakouts, all spend metrics (Media, Platform, Data, and Agency), ownerIQ Attributed Online Revenue, and many more! 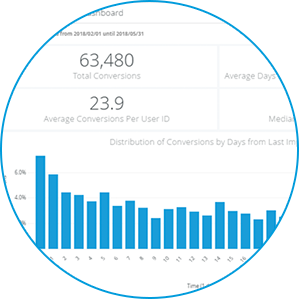 The Converter Analytics Report provides insights on a brand’s online audience conversion behavior based on ownerIQ’s proprietary data. 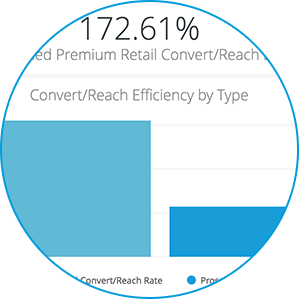 This report showcases the efficiency of the targeting and optimization used to drive conversions. 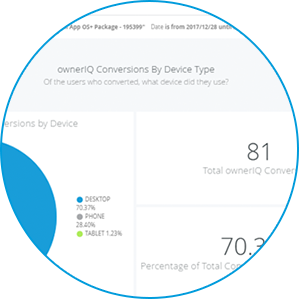 The Cross Device Report provides a 360° view of consumers and their online shopping behavior across their numerous devices, using ownerIQ’s proprietary cross device technology. It helps you identify under-utilized channels and efficiently spend your media dollars. You can use this report to demonstrate your converting audience's propensity to use multiple devices on their customer journey, showcasing the value of reaching them across all the devices they use to shop. This tool helps to identify the specific reasons why the ownerIQ platform did not bid on an ad opportunity for a given media type. This report provides a transparent view of ownerIQ’s bidding process to highlight the impact of campaign restraints or identify ways to improve pace or performance. Interested in real-time data on retail outcomes that can drive business decisions? 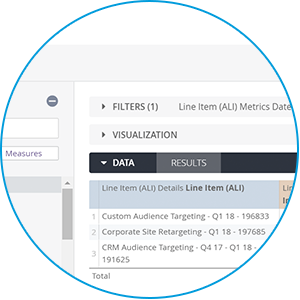 ownerIQ’s e-commerce insights measure an advertiser’s key online attribution metrics including orders, revenue, average order size, and much more! 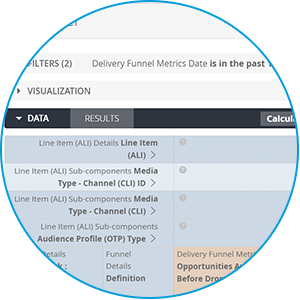 The Full Funnel report provides transparent campaign performance. The report aims to provide direct evidence of the value of our premium retail customers as well as our optimized shopper audience. This report measures the effectiveness of retailer-targeted marketing campaigns by brand advertisers driving to that retail location. Using AB test methodology, this report calculates whether users served an impression were more likely to visit that the brand pages at that retailer, as compared to retail shoppers who were not served an impression. 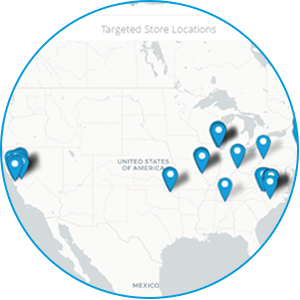 The Store Delivery Report highlights ownerIQ’s impressively accurate geo-weighting abilities for store targeted campaigns. 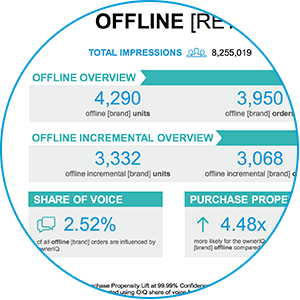 This report highlights where impressions were served around a campaign’s store list and compares against the online conversions made around that same store list to highlight effectiveness of this targeting tactic. Understand and measure the influence of your advertising on enhancing consumer purchases offline.